We love hearing from our inspiring members and staff, and we recently caught up with Kris Gilotti, staff member since 2014, to learn more about her health and fitness journey. A beloved member of our group fitness instructing team, you’ll find Kris poolside and on dry land making our members feel happy, energized, informed and fit. From sickness to injury, Kris credits an active lifestyle with her ability to quickly recover from any set back. Her expert instruction and positive attitude makes every class a joy for our members — you’d never know she’s overcome so much. So enjoy Kris’s story, in her own words, and let her positive vibes and wisdom brighten your day, too. “I’ve been a group fitness instructor at Body Zone since 2014, but I’ve been teaching group fitness classes since the age of nineteen and aquatic group fitness for the last 20 years. I became active as a young child with dancing and swimming lessons, which lead to my involvement in the fitness industry. Exercise has been a lifestyle for me, it’s in my blood. Daily activity helps me mentally and physically. I’ve had to overcome so many health issues in my lifetime. 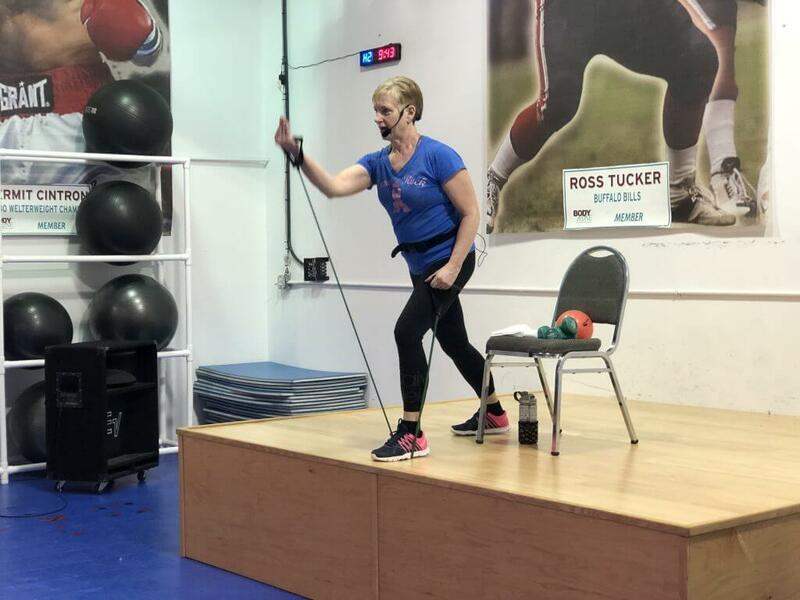 From seizures as a child to breast cancer at age 52, with persistent knee injury followed by joint knee replacement this past year, I’ve faced many obstacles and exercise has always been my lifesaver. Since my knee replacement in June 2018, I have worked hard to get back to teaching classes. Pre- and post-op work at Body Zone Physical Therapy was so instrumental in getting my knee back into shape. 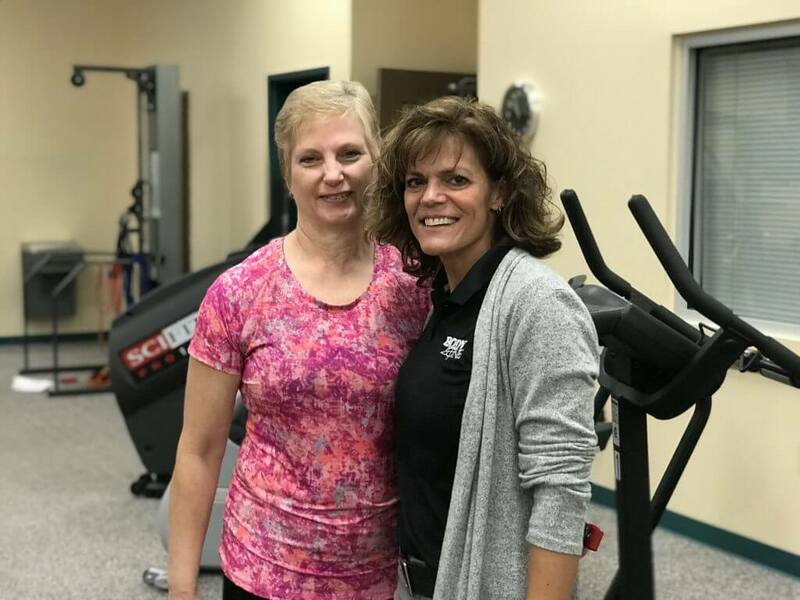 As a perfect candidate for Body Zone Physical Therapy’s Joint Care Program, I began working with Therapist Laurie Yocum to strengthen my tendons, ligaments and muscles. Post-surgery, I spent 14 weeks in therapy with Laurie and her team. They supported me physically and emotionally, and pushed me when I felt like giving up. They reminded me it takes time and patience, and they reminded me of the importance of doing your homework — at home exercises to supplement my three times per week therapy sessions. Almost six months later, I’ve learned so much about my recovery and the impact of my commitment to a healthy lifestyle on my ability to rebound from obstacles. Both diet and exercise are the key to healthy living. We have complete control over what we eat and how we move our bodies — it just takes commitment. Staying positive is the key to success. Faced with injury? Don’t give up. Stay on the move. I’m back teaching my Older Adult and Aquatics Group Fitness Classes at Body Zone and I continue to work my glutes, hamstrings, quads, abductors and adductors with various equipment on the fitness floor, Cardio Loft and in my classes. My knee is getting stronger every day and I’m also back skiing! Make exercise enjoyable. My advice to anyone starting an exercise program is to find an activity that is fun for you. For example, I love group fitness classes because of the energy in the room and the interaction with the members. If group workouts aren’t your thing, grab a workout buddy and start out walking/running the track or join us in the pool. Help others. Giving back is so good for your mind, body and soul. I’m a new volunteer for Body Zone’s Rock Steady Boxing group exercise program for people with Parkinson’s disease and I love it. No Replies to "February Health Spotlight: Kris Gillotti"